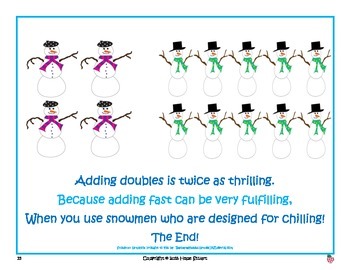 Learning Doubles Facts with Super Cool Snowmen! 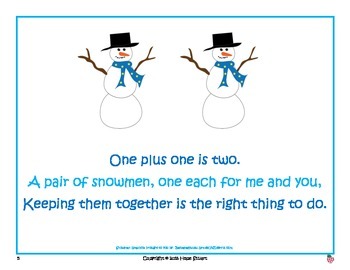 This book was inspired by Apple A Day’s behavior management system for January: There’s Snow Behavior Like Our Behavior! 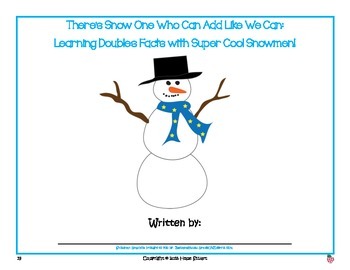 This super cute book uses snowmen characters to assist students in learning and remembering the doubles facts up to 20 while applying these facts within their daily math problems. Set to rhyme, this book is sure to be a favorite among your students! 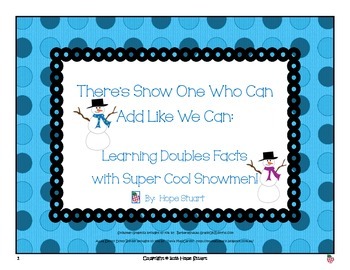 To increase each student’s knowledge and understanding of the doubles facts up to 20. This book will aid in the learning, memorizing and application of these facts to an array of mathematical settings. Check out the behavior management system that compliments this book: There’s Snow Behavior Like Our Behavior! Apple A Day has super book packets and behavior management systems to organize your teaching troubles away! Contact Apple A Day if you would like a personalized behavior management system to suit your current student population’s needs. It takes only about a week to make your idea become a reality!